One of my indoor winter pleasures is the cook-along book club hosted by From Scratch Club. If you’re not familiar with From Scratch Club, it’s an approachable, immensely useful and inspiring blog featuring a bunch of different authors from different backgrounds with a common goal: eating wholesome, local, real foods. I’ve long had a little crush on New York state, particularly the Hudson Valley and FSC is one more example of just how great the food community there is. Following a cookbook with a group of other people is a great motivator – I love reading what everyone thought and did and I can’t tell which I enjoy more: the inspiring successes or the flaming failures. And, it never hurts to have a little push to help those great ideas of yours jump out of your head and onto your plate. You really should check it out – it’s a flexible group and you can drop in and out anytime. Since this snowy season is one with little going on in the way of harvest, it’s a perfect time to work on improving our grain habits – an admitted weak link in my real foods pantry. Whole Grains for a New Generation by Liana Krissoff is our book club guide to a grain by grain exploration. I’m good at getting real food on the table fast with the stash in my jars and freezer, but using whole grains tends to slow my process way, way down. It’s much easier to serve something warm over a toasted piece of homemade bread, or to make some familiar quick pasta or potatoes than it is to soak and cook an unfamiliar substantial whole grain. My hope was that Liana would teach me a trick or two to expand my pantry skills with ideas for fool-proof, fast-forwarded, unprocessed minute-style rice & grains. And happily, that’s exactly what happened. She shares a two-step process for making brown rice – something which admittedly I’ve had hit or miss experience with. Sometimes I get it nice & fluffy, sometimes I end up with mushy grains and too much unabsorbed liquid. The two-step process cooks for a shorter time than my rice package recommends, allows me to correct if I’ve got too much liquid and to fill my freezer with parcooked portions ready for a quick steam and fluff later. Exactly what I was hoping for; check it out here. Also, the recipes are modern and sophisticated yet not too fussy. 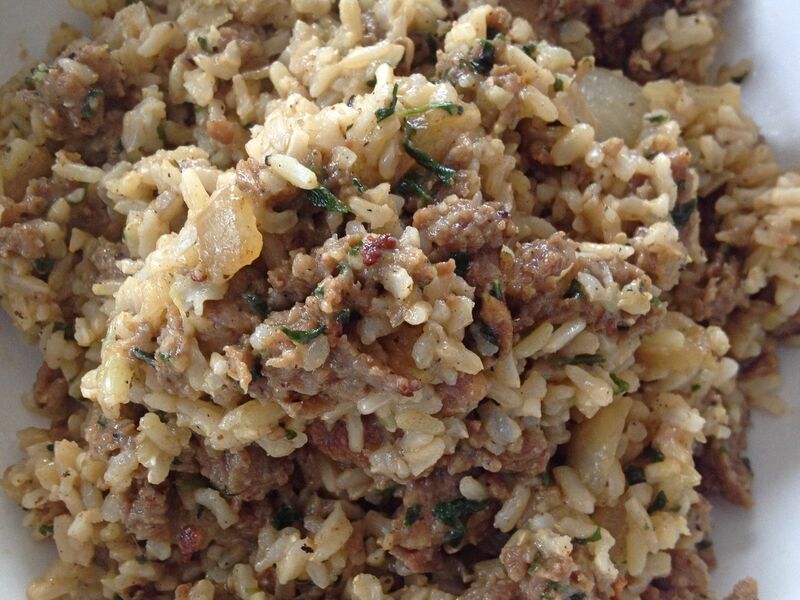 For example, the recipe for (very) dirty rice is perfect just as it is. But, I didn’t have the ingredients to make it just the way it is. Liana gives very helpful alternatives for most recipes suggesting substitutions and/or shortcuts. Find the printable recipe here. So, being short on ingredients and in no mood to hit the store, I went with the alternate and made a few other substitutions of my own. Now, I don’t offer my version as an improvement by any means – I’m confident that Liana’s version is better. I just want point out that sometimes, done is better than perfect. Do your best, start where you are, and you’ll learn by doing which is always the best way to truly know anything. Aspiring nose-to-tailers – this is a great gateway recipe for you. It’s comforting, delicious and absolutely not in-your-face. If I didn’t tell you, I don’t think you’d ever suspect you were eating liver, hearts and gizzards. And, if you cannot imagine passing a chicken liver through your lips, there’s a delicious sausage alternative for you. I hope you’ll at least try the true “dirty” version before you knock it. I am not a liver-lover, but when the chicken is fresh and well raised, the liver is truly delicious. No substitution will be so specifically and deliciously savory. Near and dear to my heart, dirty rice is a simple and delicious way to get one more full meal from your expensive pastured chickens. What’s not to love about that? What tips & tricks do you have for working whole grains into your meals? Next > new & improved as we’re going to get: a kinder shade of the other white meat? Oh….might have to get this cookbook. I rely heavily (too heavily) on grains, but desperately need a creative nudge. As for rice, I have the best luck with short-grain brown rice; it always seems to come out plump and flavorful. I love those girls at FSC and like you, I am admittedly jealous about their strong food community. Brown rice was my go to for years and still is at times. You are wonderful! Thank you for the kind words about FSC and the book club. 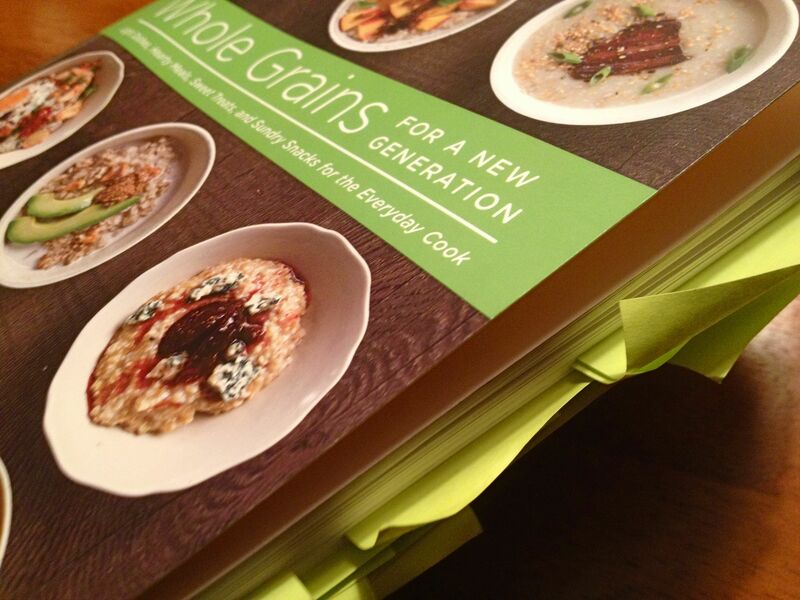 We are so thrilled to have people like you cooking along with us and exploring whole grains. It really makes us so happy to see the community grow. Thank you Christine; I appreciate the visit and the kind words.